We are getting very excited and looking forward to Fright Night in a couple of weeks. We’ve been getting ourselves ready for the big night. You might have seen our Spooky Pumpkin and Apple Soup Recipe, perfect to be enjoyed when you get back home from trick or treating. We have also been making spooky Halloween decorations for our special evening. 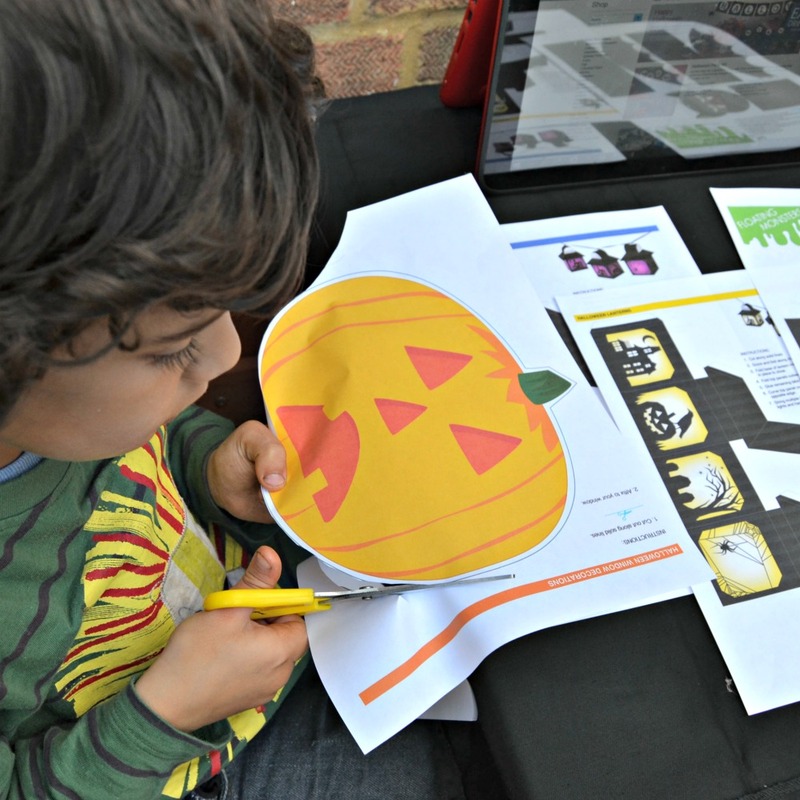 Snapfish has a wide range of free printable Halloween templates, everything you need to throw a scary Halloween party. I was very impressed with the selection of Halloween party kit, including ghostly party banners, cake bunting, votive wraps, tent signs, cupcake kit and drinks kit. To get little man in the mood, I’ve printed some Halloween colouring pages in haunted mansion and pumpkin design. 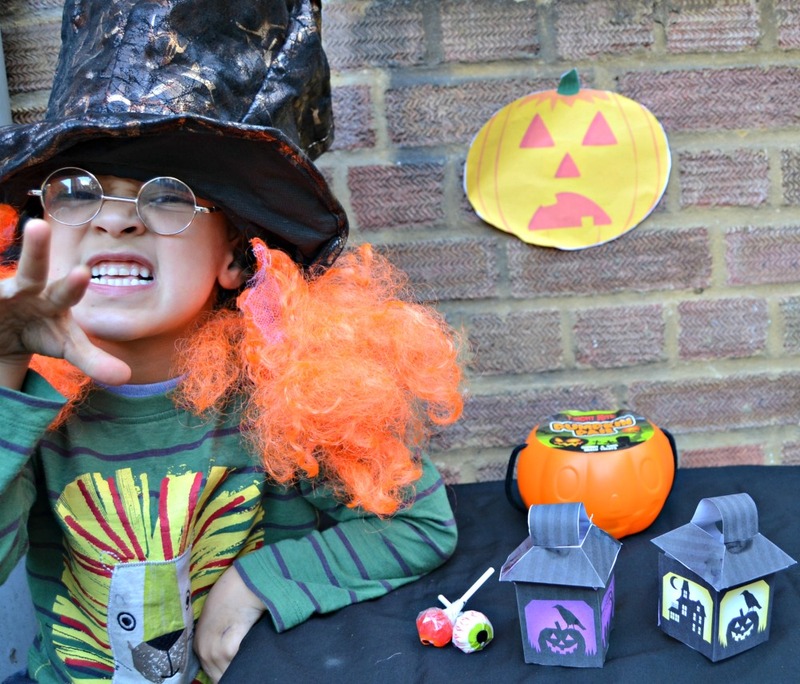 If you are hosting a party, you could give them out to your little monsters. 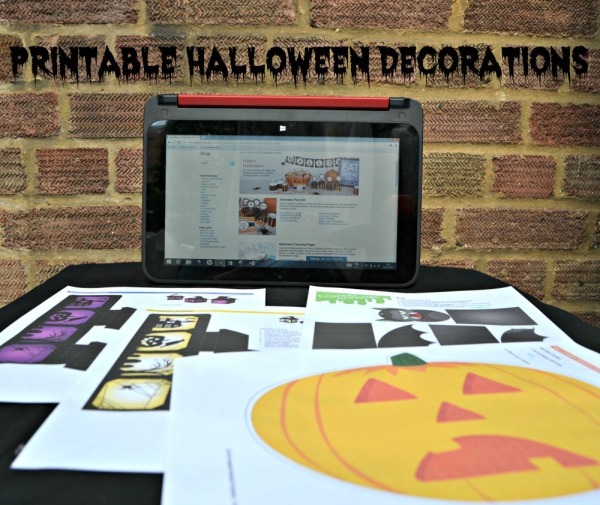 There are lots of Halloween decorations to choose from: spooktacular window decorations such as Frankenstein, Jack-O’-Lantern, Monster and Witch, which can be easily printed and hang up. 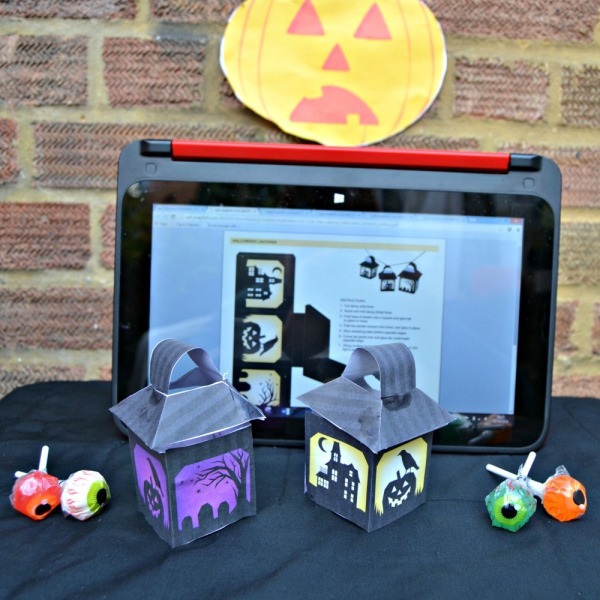 You will also find templates for spooky Halloween lanterns in purple and yellow. You can hang them lanterns on a string of light or use them as decorations around the house. Little man loved the template and found them easy to be made. He cut them on his own, just needed little help folding and glueing the lanterns together. We will be making more Halloween decorations from Snapfish website, and we can’t wait to take lots of photos of our Halloween celebrations and turn into a Boo-tiful photo book. 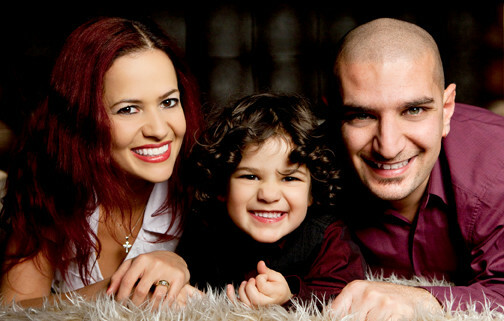 Lilinha Angel’s World has teamed up with Snapfish to give our readers the chance to win £40 vouchers to spend on Snapfish photo gifts. Check out their lovely range of Halloween photo gifts! For your chance to win, please enter via the Gleam app. You MUST leave a comment letting me know your favourite Halloween decoration, and subscribe by email (compulsory entries). You can also gain extra entries by tweeting (daily entry), subscribing to other social media channels, etc. T&C’s: The winner will be randomly picked by Gleam after the closing date on Tuesday 25th November 2014. Lilinha Angel’s World will contact the winner by email or Twitter within 7 days wherever possible and will allow 7 days for a reply. Open to over 18′s and UK only. If I do not hear anything within this time period I reserve the right to redraw a winner. Lilinha Angel’s World decision is final. 192 Responses to "Free Printable Spooky Halloween Decorations and Competition to Win £40 Snapfish Voucher"
I love hanging bats and spiders! I love real pumpkins, it’s good fun craving them out. You can’t beat a real pumpkin, fun to carve, you can cook the insides… lots of fun to be had! A carved pumpkin on the window ledge with a candle in the hollow. It looks so spooky. bats and spiders ,really creepy!! I love the carved pumpkins, they look so cosy with the night light candles in, I don’t like spooky spiders though as I’m a bit afraid of them, we did have a really cute black spider plush that cackled in a way guaranteed to make you laugh when you pressed its belly, I could cope with that one! Pumpkins – I have 4 this year! 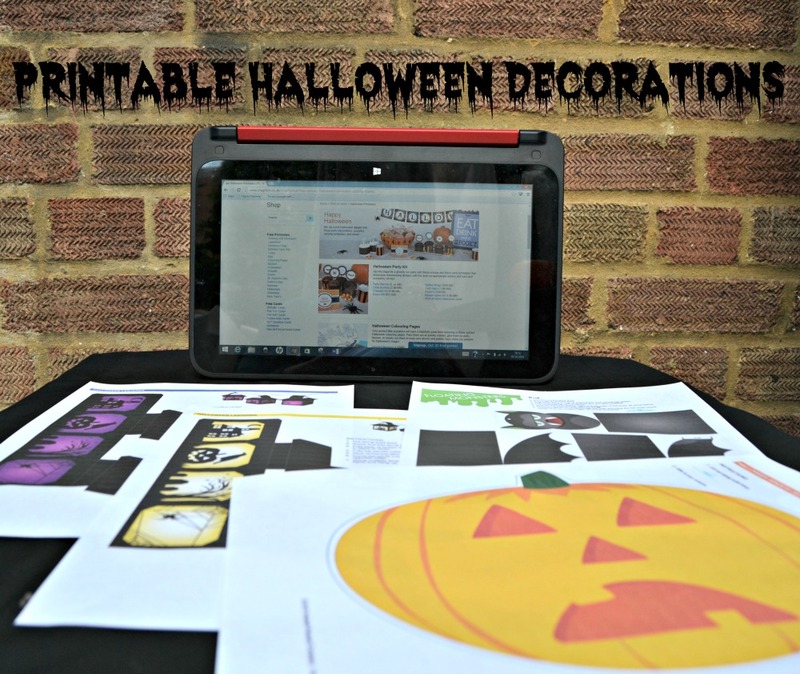 Halloween tinsel – love it! I have a lovely plastic light up pumpkin that an American friend sent me which has Tinkerbell on! We have flashing spider web drapes they are fantastic for a party! has to be pumpkins plus they are so much fun to make! I love spider webs and pumpkins! I visited the vets this week, and hanging from the ceiling they have giant bats, and even more scary and definitely my favourite – GIANT FLEAS ! The lanterns are very cute expecially with the shadows in the windows. We have a fab bowl that a Hand comes out to get you!! Has to be carved pumpkins! So much fun! It has to be pumpkins! I love how everyone creates their own and they can be so unique. This year me & the kids went all out! we made a pumpkin tree & hung bats on, we recycled jars & made them into jack o lanterns or mummies, kids made ghosts to hang from paper plates & crepe paper……….they did a fantastic job! I like to dress up in scary masks and decorate the house with spider webs! pumpkins, the other always has a go every year! I love my glass pumpkin I made this year at a glass blowing workshop. Its ‘wonky’ and asymmetrical and the colour is a bit squiffy, but I made it and I love it! The halloween lanterns are my fave! I love seeing all the different pumpkin carvings and seeing what ideas people come up with to carve into them.Their are so many different ideas and they are very versatile plus u can eat the inside too so as it doesn’t go to waste. A giant spider my husband made from a milk bottle & pipe insulators! got to be the pumpkins! Pumpkins of course- the tradtional decoration carved , and adorning the window sill lit up and welcoming the sweet hungry trick or treaters!! The hanging lanterns are awesome! Fake spider webs are horrible! but you can’t beat a good scary pumpkin! Skeleton on the door! Scary! I love fake blood. We have a halloween party every year and turn the bathroom into a scene out of a horror movie!! A good old fashioned jack-o-lantern. We make all ours, wish I could post a photo. We have made a monster door, a scary cardboard house, a mini felt pumpkin and a robomonster.